Since Carlile's early days playing the Paragon bar on Queen Anne, many in the LGBTQ community have rallied around the Washington folk star. As her Grammy nomination coup thrusts Carlile to new heights, her queer fans celebrate her achievements. 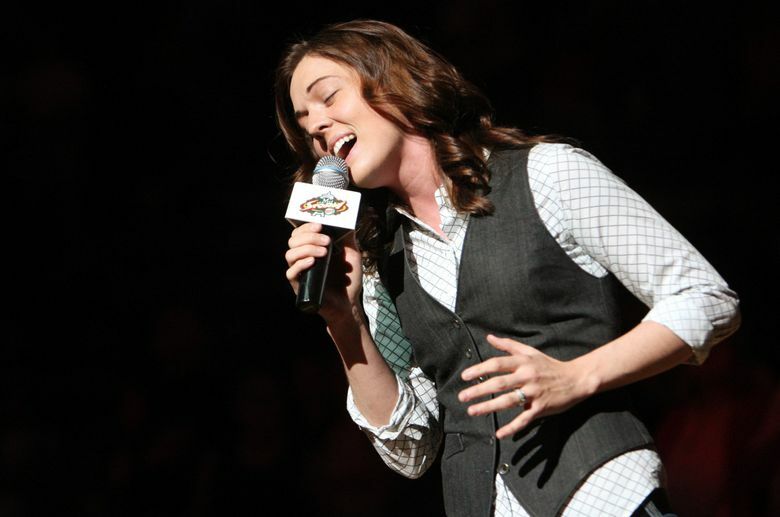 Brandi Carlile never had trouble making an impression. With an astonishing six Grammy nominations — including three of the top four awards — making the homegrown, Americana-rooted powerhouse is this year’s most nominated woman. Carlile is reaching a wider audience than ever, hitting a new high in an already impressive career with the well-earned achievement. In a sense, when Carlile takes the prime-time stage to perform during Sunday’s award show (5 p.m., KIRO), it won’t be all that different from her early days winning new fans in barrooms around Seattle. There’ll just be a few million more people watching. In the early 2000s, Carlile and veteran Seattle guitarist Keith Wright held a Sunday night residency at the Paragon bar on Queen Anne. 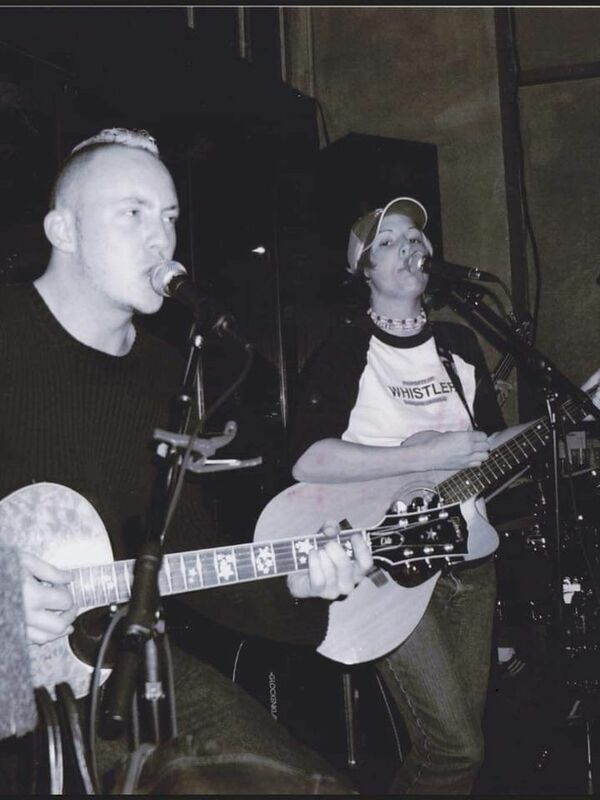 Back then, the neighborhood pub was better known as a pickup spot than live-music destination and when they started there, the acoustic duo was charged with entertaining a crowd more likely there for a bite or phone-number scavenging than the music. That would change the second a young baseball-capped Carlile unsheathed that knee-weakening voice that’d convert unsuspecting barflies into believers. Soon, Carlile was packing the Paragon as word spread that some wunderkind folkie, with her merch-slinging mother and sister among the crowd, was blowing minds with three-hour sets featuring early versions of “Turpentine” and her fan-favorite rendition of “Hallelujah.” “Her mom would bake brownies — and not the 420 kind, just the kind your mom and grandmom used to make — and if you bought a CD she would give you a brownie,” says Paragon owner Todd Ivester. It’s been a while since Carlile’s needed Mom’s baked goods to help get her music to the masses. But that rural King County earnestness hasn’t faded, even as she steps into the biggest spotlight of her career. On the strength of her most emotionally vulnerable and vocally powerful album to date, Carlile’s Grammy nominations — the most in one year by a born-and-raised Washington artist — have been one of the biggest stories of this year’s awards. “By the Way, I Forgive You” is up for the most prestigious album of the year award, its lead single “The Joke” — a hair-raising rallying cry for the marginalized — earning noms for song and record of the year. It’s also fitting that Carlile is leading the charge in what’s been a big year for queer women at the Grammys, with a number of LGBTQ artists vying for music’s top honors. Since those early days at the Paragon until now, as Carlile transitions from beloved folk singer to household name, many in the LGBTQ community in Seattle and beyond have rallied around her as one of their own. Carlile, who performed relentlessly at the Dubliner in Fremont, Salty’s and several Duke’s Seafood and Chowder locations in addition to the Paragon, also played a number of gigs at the Wildrose. 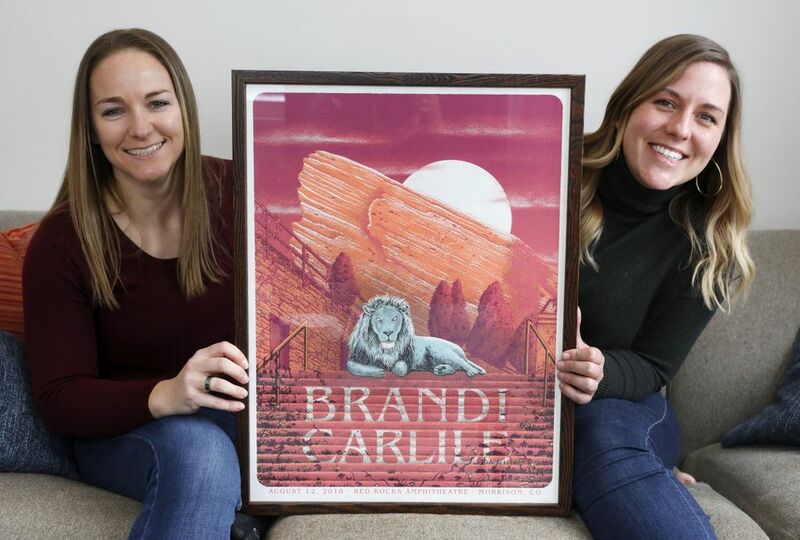 Much like the Paragon, the bar was slammed whenever it booked Carlile, with fans spilling over from the backroom where she and her band — including the twins Phil and Tim Hanseroth, says co-owner Shelley Brothers — would set up. 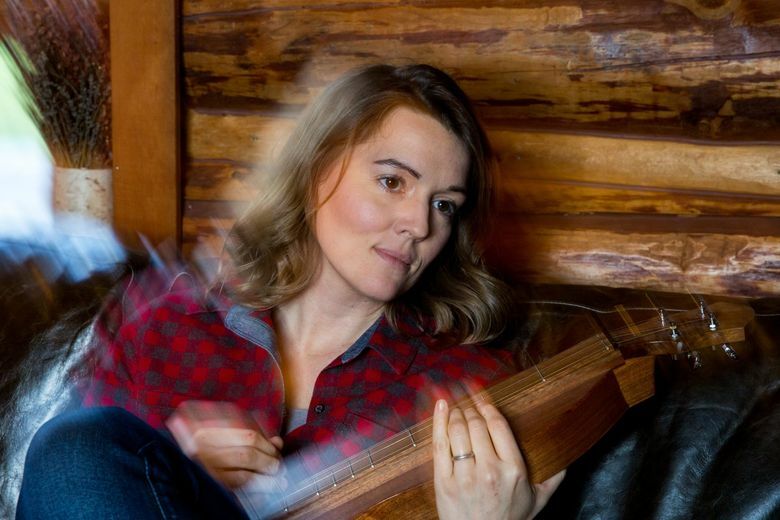 Her rootsy folk songs and functional-flannel charm appealed to more than just the usual city crowd, and women from all over the region flocked to see the singer, who grew up around the Maple Valley-Ravensdale area, perform. That communal spirit among the Carlile faithful came with a few other advantages. As Wright recalls, they had a “crew of girls” who often helped them lug gear from venue to venue, drive them home after the shows or provide couches to crash on, as he and Carlile gigged everywhere from Enumclaw’s Yella Beak Saloon to Stuart’s Coffee House in Bellingham, where they drew standing-room-only crowds. Carlile had outgrown neighborhood taverns by the time Karen Gray, like the rest of America, fell in love with Carlile’s music through her 2007 breakout “The Story,” which made Carlile a favorite on adult contemporary radio. Carlile’s acoustic folk numbers and “gorgeous” harmonies hearkened back to the music Gray grew up with in her house — John Denver, James Taylor and Peter, Paul and Mary — but for her generation. 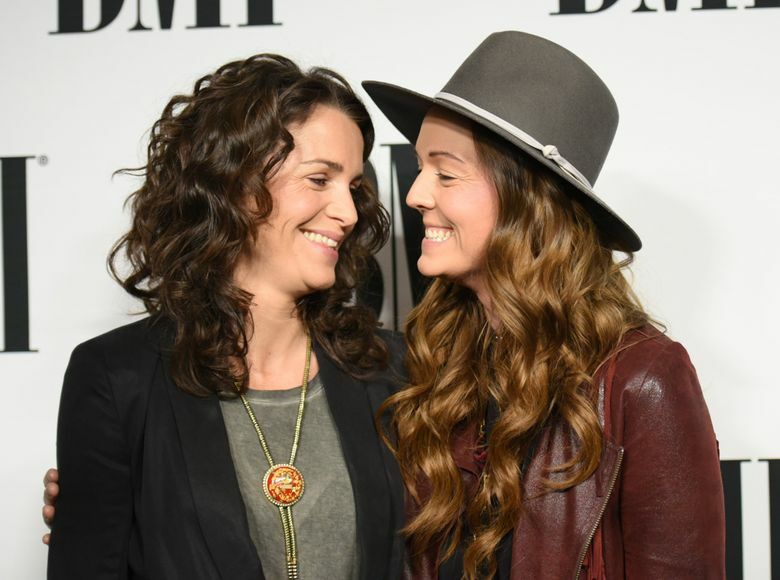 Though other openly gay women like Melissa Etheridge and k.d. lang had come before her, Carlile was the first lesbian star who resonated with Gray, who came of age in the post-Lilith Fair era. 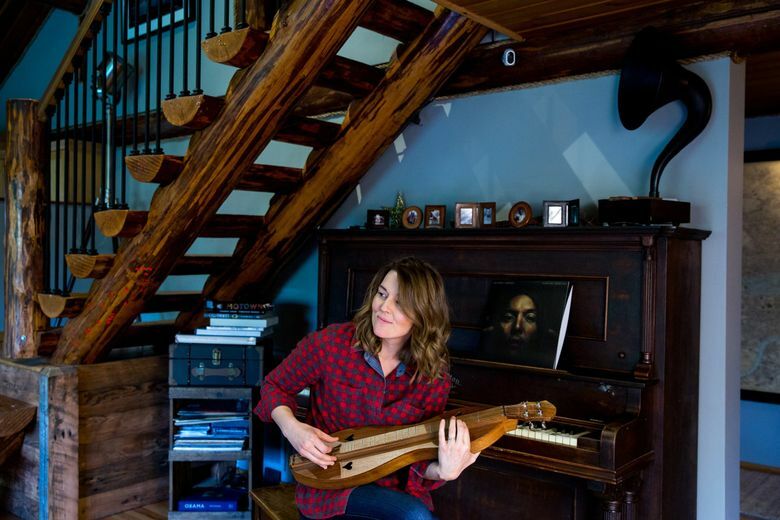 Gray credits Carlile’s tender cover of the Avett Brothers’ “Murder in the City” — in which Carlile subtly tweaks a lyric to reference loving her wife — with helping her through her coming-out process. That sense of community Campbell and Zimmerman found at those early Paragon shows, Gray discovered when she saw an already-famous Carlile for the first time more than a decade later. Gray — who was “not quite out yet” at the time — could feel it even before Carlile took the downtown theater stage that night. “It was like ‘Oh, these are my people,’” she adds. Since that “life-changing” concert, Gray’s seen Carlile perform many times, both in and outside of Seattle, and felt that same camaraderie at each one. 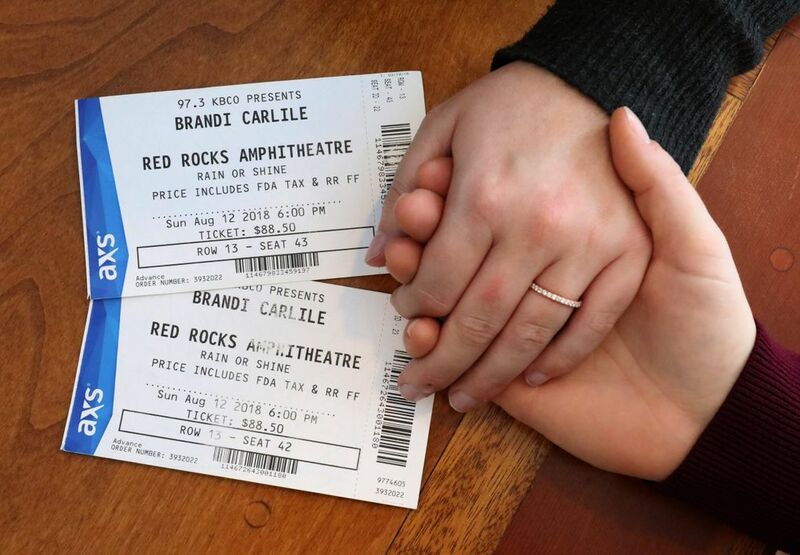 Last summer, Gray and her now-fiancée, Lisa Nielsen, went to Denver to see Carlile at the famed Red Rocks Amphitheatre where Nielsen proposed during their song, the sweetly echoing ballad “The Eye.” At the end of the night, Carlile closed with an a cappella version of “Amazing Grace” with the landmark venue, walled by two massive sandstone monoliths, illuminated by cellphone lights. In the months since Carlile’s Grammy nomination haul, Zimmerman jokes that she’s been “trying not to gloat” about seeing the ever-brightening star in a relaxed Queen Anne pub. The morning of the announcement, Campbell recalls “being filled with such joy” and dialing up friends eager to reminisce about those formative nights at the Paragon. 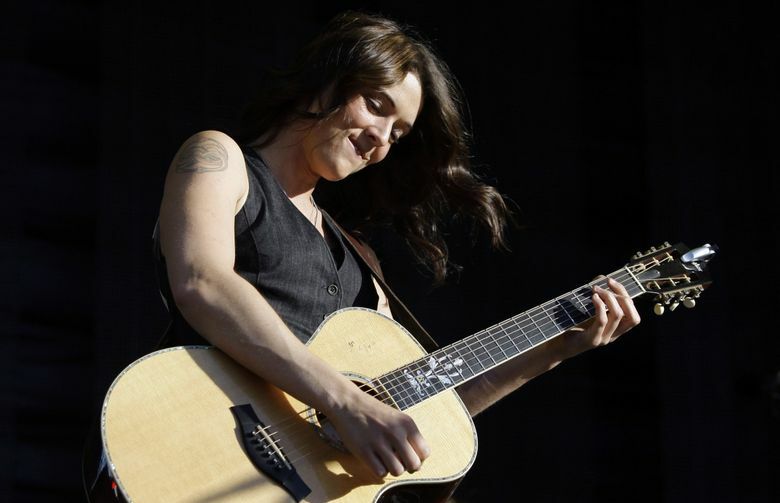 But for Carlile’s LGBTQ fans, watching the self-described “small-town lesbian folk singer” ascend the industry’s highest mountain is more meaningful than an “I was there when” brag. That progress at the Grammys, which have been criticized for its dearth of female winners and the Recording Academy’s (which presents the Grammys) lack of diversity in recent years, doesn’t end with Carlile. This year queer women are making their presence felt and notably in the four marquee categories. Behind her critically lauded “A Star is Born” (in which Carlile makes a cameo), Lady Gaga trails our hometown hero with five nominations, including the song and record of the year categories. Janelle Monáe’s empowering pop-funk masterpiece “Dirty Computer” is up for album of the year, while Bebe Rexha — who ruled Top 40 and country radio last year — is nominated for best new artist. And those are just the most visible. While old-school fans like Campbell knew Carlile was destined for something bigger than playing for burger-scarfing bargoers, few could have predicted that nearly 20 years later she would be the talk of the Grammys. Save for maybe one famous Seattleite. Last year Wright bumped into low-key rock star dad Dave Matthews at a youth soccer game. The two got to talking about their mutual friend, Carlile. Apparently, Matthews had seen them one night at the Paragon and later recognized her voice when they played a parking-lot stage outside of one of his annual Gorge Amphitheatre concerts years before she made it big.